The South Carolina AHEC Scholars program is a part of a national initiative to prepare a tomorrow’s health professionals to become leaders in interprofessional, transformative practice to serve rural and underserved populations in our state. AHEC Scholars will join the cutting edge of health professions training with students from multiple health profession disciplines across the state. 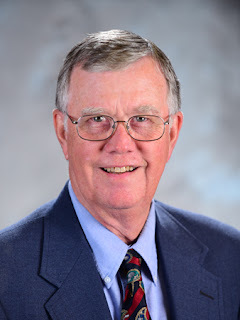 The program consists of didactic and experiential training opportunities with a focus on interprofessional primary care and service to rural and underserved populations. AHEC Scholars will receive preference for innovative, team-based clinical fieldwork placements, in addition to networking opportunities with state leaders and primary care professionals from across the state. The AHEC Scholars program provides an innovative approach to improving the health of our state by utilizing one of our greatest assets, our future health profession workforce. Through the various educational activities, AHEC Scholars will learn about practice transformation, telehealth, quality improvement, and social determinants to prepare them to address the unique challenges and strengths of our state. Additionally, through quality improvement projects in rural and underserved settings, I believe our AHEC Scholars can help support health care transformation in South Carolina. 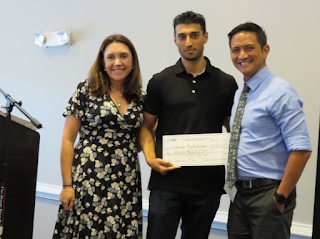 The AHEC Scholars program provides students with innovative, interprofessional training and mentoring focused on building the skills and competencies needed to help transform primary care and improve patient care. 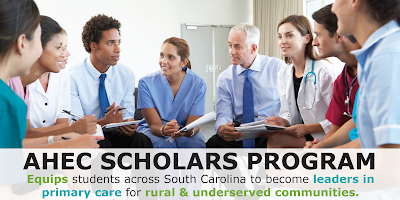 South Carolina AHEC Scholars will receive a certificate recognizing them as leaders in primary care upon completion, setting them apart during job search and/or subsequent residency match. To find out more about the program, learn about eligibility requirements, participation benefits and how to apply, visit the South Carolina AHEC website. In what ways do social and economic factors influence a person’s ability to make health choices and access healthcare? Twenty undergraduate students who recently completed South Carolina AHEC’s Summer Careers Academy (SCA) had the opportunity to find out. The Academy is a one-week summer experience designed to promote the preparation of undergraduate students for entry into health profession education programs in South Carolina. Emphasis is placed on the development and preparation of underrepresented minority and disadvantaged students to address persisting health care workforce disparities. This year’s SCA Fellows also completed a series of sessions and exercises to increase their awareness and understanding of social determinants of health as part of their Summer Academy activities. In collaboration with the Medical University of South Carolina (MUSC) Library and Colleges of Dental Medicine, Health Professions, Medicine, Nursing and Pharmacy, South Carolina AHEC delivered a six-day experiential learning opportunity for students preparing to pursue careers in health. 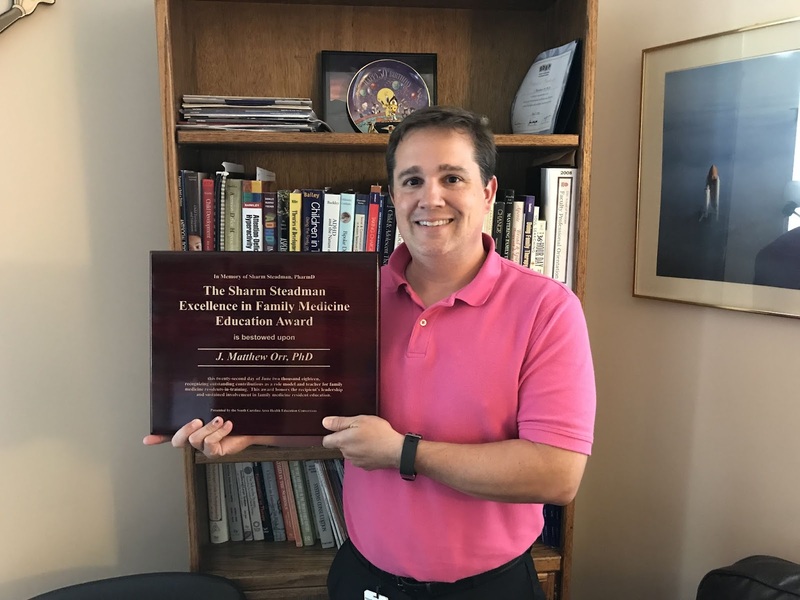 Faculty and staff throughout MUSC support the instruction and delivery of student development workshops and didactic, laboratory and clinical sessions. 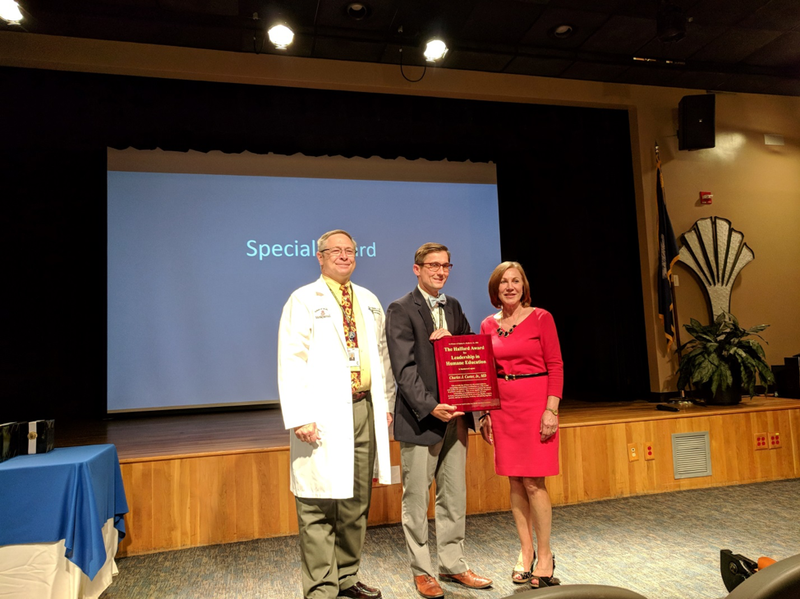 This year’s agenda also focused on improving cultural awareness and sensitivity through partnerships with Fetter Health Care Network and Mental Health America of South Carolina. Jeanne Sinkford, D.D.S., kicked off the week by joining the Academy Fellows over lunch following a campus presentation. Sponsored by the MUSC College of Dental Medicine, Dr. Sinkford, ADEA Senior Scholar-in-Residence and Professor and Dean Emeritus of Howard University-College of Dentistry, shared her experience of becoming the first woman to serve as dean of a dental school. This year’s Fellows also collaborated to tackle the topic of mental illness. Approximately 100,000 South Carolinians are served by the South Carolina Department of Mental Health each year (Magill, 2017). Completion of the Mental Health First Aid certification course, facilitated by Mental Health America of South Carolina, established a basis for the development and implementation of community-based service projects for members of the Our Place Clubhouse. Our Place Clubhouse offers a non-clinical, collegial community for adults in mental health recovery and empowers members to achieve their goals through mutual support. 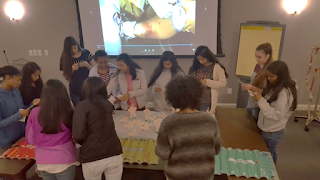 Under the direction of Mental Health America of South Carolina program administrators and staff, the Fellows used games and activities to guide Clubhouse members’ application of strategies for managing anxiety, depression and stress. Mirakle Avery, a sophomore at Claflin University and future physician assistant, found the experience as “something I’d love to continue to do when I return home as an opportunity to help people and make them smile. It was a great experience”. The Fellows used their experiences and the knowledge gained during the week to develop and present innovative, research-based team projects designed to increase awareness of and decrease stigmas associated with mental illness in South Carolina. MUSC faculty and staff from the National Alliance on Mental Illness (NAMI) judged the presentations. Rohan Brebion, was selected by his peers as the Summer Careers Academy 2018 Role Model of the Year for exhibiting the professional qualities of success. Visit the SC AHEC Health Careers Program Facebook page to view pictures and videos from the 2018 Summer Careers Academy and find out more about the program on the SC AHEC website. Magill, J. (2017). Public mental health in South Carolina. 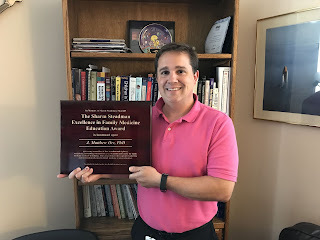 South Carolina Department of Mental Health. Retrieved from https://www.state.sc.us/dmh/dmh_presentation.pdf. 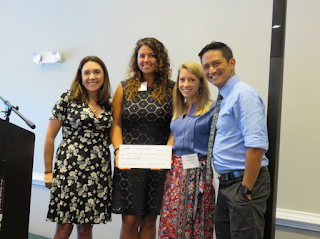 The South Carolina AHEC is pleased to recognize this year’s Resident Scholarship Symposium award winners. The annual South Carolina AHEC Resident Scholarship Symposium is held each year in conjunction with the South Carolina Academy of Family Physicians’ (SCAFP) annual meeting. 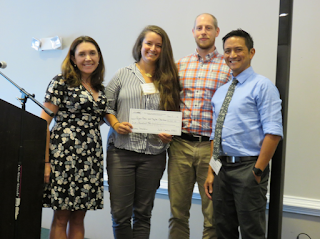 This year’s symposium on Isle of Palms featured 16 podium presentations and eight poster presentations. The presentations focus on research and quality improvement projects. They give residents an opportunity to engage with SCAFP members to discuss how these projects translate into practice. 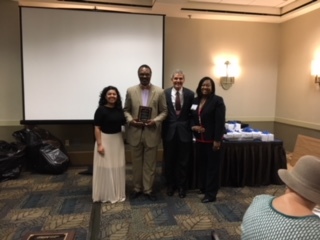 The South Carolina AHEC would like to thank those who served as moderators and judges: chair and moderator Dr. Lisa Mims (Trident/MUSC Family Medicine); moderator Dr. Alec DeCastro (Trident/MUSC Family Medicine); judges Dr. Cristin Adams (Trident/MUSC Family Medicine), Dr. Amanda Davis (AnMed Health Family Medicine), and Dr. Ed Evans (SCAFP Immediate Past President and Board Chair and Program Director, Seneca Lakes Family Medicine); and conference assistance by Dr. Marty Player (Trident/MUSC Family Medicine). 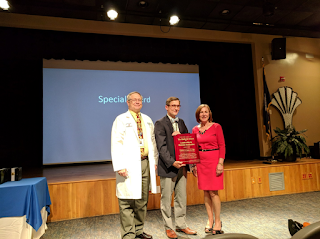 A Chief Residents’ Seminar is held in conjunction with the symposium for physicians who will be chief residents during the 2018-2019 academic year. Symposium participants have the opportunity to attend SCAFP-sponsored events such as the wine and cheese networking, poster session and the award luncheon to network with academy members. Does a Deviation from a Birth Plan Increase the Risk of Postpartum Depression? If you would like additional information about the symposium, please contact Director of AHEC Recruitment and Retention Programs Kristin Cochran at (843) 792-6977 or cochrak@musc.edu. Upstate AHEC has partnered with Greenville County to provide a Community Emergency Response Team (CERT) Lab where Upstate AHEC Health Careers Academy (HCA) students learned about disaster preparedness for hazards in the county. Rachel Nafziger from the Greenville County CERT Program taught a lab on medical triage for mass casualty incidents where students were able to learn more about the types of victims in a disaster, the most effective response technique when a disaster occurs and basic triage techniques. With this new knowledge of response behavior, students participated in a triage activity and passed with 90 percent of lives saved. Upstate AHEC would like to recognize the Greenville County team’s commitment to the students’ experience: they will allow HCA students to participate in the complete eight week CERT program for free. Upstate AHEC’s Health Careers Academy is an integrative program offered to high school students in the upstate region who aspire to become successful health care professionals. The program provides an array of shadowing opportunities, team building exercises, academic preparation, professional development and community-based learning. As a part of HCA, students have the chance to partake in lab experiences where they are exposed to interactive, hands-on activities related to STEM and health care. The students of the Health Careers Academy are dedicated, excited, and most importantly compassionate. Through our pipeline programs, we look forward to seeing each of them grow into competent, caring, and quality healthcare professionals. To learn more about Upstate AHEC’s Health Careers Academy, visit https://www.upstateahec.org/.